What do you do when you need to keep a sales force fired up? You do it with promotional products! 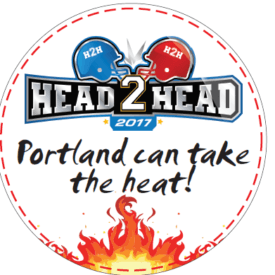 While working as the Marketing Manager at Comcast Business in Portland, Oregon our sales team competed in a national sales contest called Head to Head. It is an annual, highly competitive, multi-phased contest which builds on historical sales numbers. Those sales numbers which were already high for our team, adding to the pressure. Marketing had to do something new and engaging. With the help of Ideation, we came up with some “red hot” ideas. After winning the first game, we rallied the team by presenting everyone a customized bottle of hot sauce that read “Bring on the Heat”. With the second win, a hot BBQ sauce was selected with another custom label, exclaiming “Portland’s On Fire”. To come later were a hot seasoning rub and hot cinnamon candies. Our sales support teams were also rewarded with each of the products, helping them feel part of the competition, and acknowledging the additional work they do when sales increase. Ideation made it very easy for the marketing team to decide on what products to use, taking on the creativity and research required for this project, leaving the marketing group to be able to take care of day to day activities. The reward program was appreciated by both the sales team and sales support. The team will remember the contest, and how winning felt every time they use the unique awards. The sales team may not have won the overall contest, but marketing won the challenge of engaging the team.